. . .Pioneer,” his “Gold Seekers,” and those monuments in which he had invested one and another of the heroes of the Civil War with such convincing dignity and power. Very good collection of short stories. I love her quiet stories....the narrator David Wales is good too. 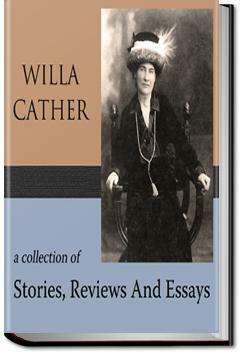 I have read most of Cather's novels and many of her short stories, and I can honestly say I have never been disappointed. Some are better than others, that's only normal, but they all maintain a quality of excellence that is almost unsurpassed, especially in such a large volume of work.